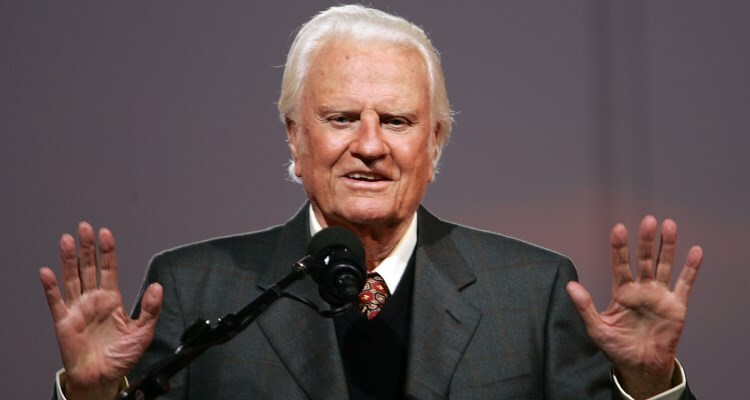 Ruth Graham Wiki: Who Was the Late Pastor Billy Graham's Wife? Ruth Graham Wiki: Who Was the Late Pastor Billy Graham’s Wife? He was known as “America’s pastor,” but after the sad news of his passing this morning at the age of 99, many have been asking about Billy Graham’s wife and how she died. From her early life to her final days, we have everything you need to know in our Ruth Graham wiki. So, keep reading! Before she was famously known as Ruth Graham, she was born Ruth McCue Bell, in Qingjiang, Jiangsu, China, in 1920. She was the second of five children of Dr. L. Nelson Bell (surgeon) and Virginia McCue Bell, who were medical missionaries with the Presbyterian Hospital. At a young age, she attended high school in Korea but then finished her studies in North Carolina. In 1943, Ruth married Billy Graham; the two met while attending Wheaton College in Illinois. They had five children together: three daughters and two sons; Virginia Leftwich Graham, Anne Graham Lotz, Ruth Graham Jr., Franklin Graham, and Nelson Graham. All of her children were involved in ministry in one way or another. She was often left to care for the children while her husband traveled for work, on his national and international crusades. Ruth loved her children and never took them for granted. She said, “You have your children for a few short years. Train them before the time is gone.” She also had some helpful advice about raising a family. “Your attitude to God, your husband and your family must create an atmosphere of love, appreciation and encouragement which every family needs,” she said. Since 1995, Ruth had been in poor health and eventually died in 2007 from pneumonia, after being bedridden for some time. In a tribute to the Citizen-Times, Billy dedicated a tribute to his wife about how much he truly loved her. He also thanked his wife for all the work she did for their kids when he was away, which was quite often as he became internationally known for his work as a pastor. Now, with Billy Graham’s passing, he will hopefully join back together with his wife beyond this world and in the arms of their heavenly father.